The original SALT of the EARTH Hand-Harvested grey sea salt comes from the North West of France. The salt crystals are a light grey hue from the pure clay lining of the salt beds where it is harvested. These delicate sun dried (medium sized) moist crystals remain unwashed and completely natural with nothing added and nothing removed. It is harvested manually without any mechanical manipulation. 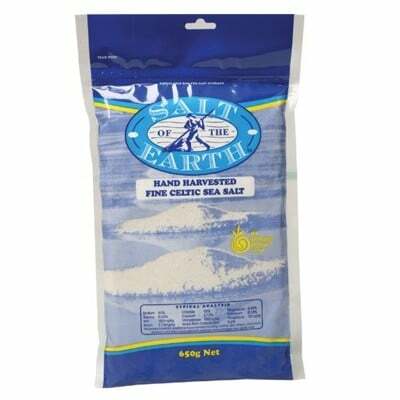 Salt of the Earth sea salt crystals are 100% natural and chemical free. 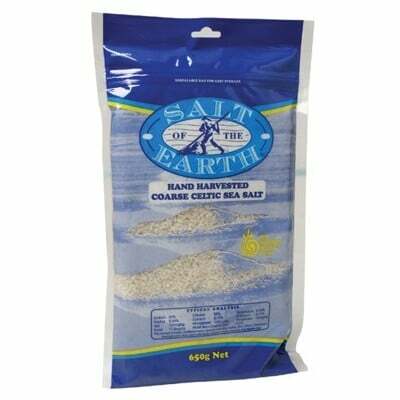 This fully mineralised moist sea salt is of the highest potency containing minerals and natural trace elements essential to the body’s daily needs. The good salt breaks down the complex carbohydrates of grains and vegetables for better digestion. Fully mineralised natural salt does not create thirst and assists in hydration. Salt of the Earth Sea Salt is naturally dried by the sun and wind then collected by farmers using long wooden tools. This is the only way to ensure all of the natural trace elements found in sea water are retained. 24 Minerals present in Sea Salt are regarded essential for life. 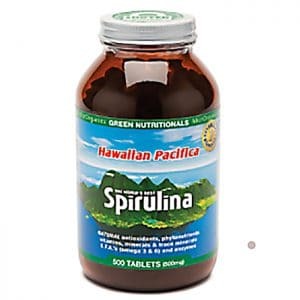 These minerals work in coaction to replenish the body and flush out any excess Sodium Chloride. 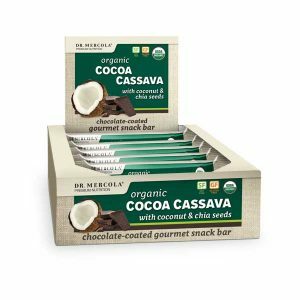 Enhancing the flavour of foods and aiding digestion…….. It is indeed the salt of life! Did you know that refined salt is washed and bleached making it more attractive and uniform in appearance, it is nothing more than a harmful by-product from industries that remove the minerals for their commercial value. During this process they also add anti-caking agents (Aluminium Silicate) to avoid the salt becoming moist and sometimes artificial sources of Iodine (Potassium Iodate). When the refining process is over the salt looks great, flows more easily out of your saltshaker, but 82 of the 84 trace elements have been extracted leaving you with solely Sodium Chloride. Our bodies are not designed to absorb Sodium Chloride alone, thus contributing to a wide range of health problems today. Salt of the Earth ensures the highest possible quality products by being certified by two of the world’s most respected associations: “Nature et Progres” of Europe and the “Biological Farmers of Australia”. This certification can only be achieved through rigorous scrutiny of the place of origin, importing/freighting methods and the repackaging areas. The B.F.A symbol is a guarantee of an organically harvested, fresh quality product. Salt of the Earth products have tests performed by Australia’s Leading Advanced Analytical Laboratories to ensure our salt has a balanced mineral level, is free from pesticide residues and any harmful contaminants. It is important to check the salts Mineral Analysis. If this is not available I would question its integrity. Hand Harvested Coarse Sea Salt naturally retains moisture. If the Salt appears dry anti-caking agents have been added. If the crystals are large and clear the product has been washed and therefore is no better than refined table salts. No matter what label is given to cheap salt it is merely a by-product that contains not much more than Sodium Chloride which has been massed produced to save money. Prior to purchasing, ask if they test for pesticide residues, have they got a mineral analysis, do they have any information on sea salt? You can be guaranteed that Salt of the Earth’s Hand Harvested Celtic Sea Salt contains all of the benefits. 100% Organically Hand Harvested with no additives, just as nature intended. Moist coarse Sea Salt crystals are best stored in natural clay or wooden containers that allow the salt to “breathe”.